Some of you may be interested in starting internet marketing. I’ve started and am loving the journey. I’m learning a lot, making a lot of great connections – and making some money along the way! 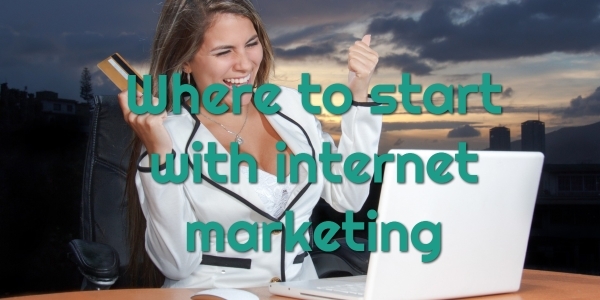 But you might be unsure where to start internet marketing. This article will give you some good basic advice on where to get started internet marketing. Internet marketing is simple – it is just using the internet to do marketing! This usually takes the form of sending traffic (email, web, video or social media) to offers of products. Those could be your products or other people’s. They could be physical or digital products. They could also be services or actions. Let’s go through these options and see how they compare. One of the important things to consider is whether you want to market digital or physical products. This choice will have a big impact on how you do your internet marketing. If you are selling or promoting physical products, this is known as “E-commerce”, and has become very popular lately. You can sell physical products through an existing marketplace such as Amazon, or build your own e-commerce store. Selling through Amazon is popular due to the huge size of their userbase. The business model is generally “Fulfullment by Amazon”, also known as FBA or dropshipping. Someone buys a product from your listing, and Amazon organises the fulfillment and delivery, and you pocket any difference between the price of purchase and the cost of the item. You can also sell physical products through your own store. This is usually done with software called Shopify. You can set up your own store and source or promote these products any way you like! You can also market digital products. This is an area i focus on. Digital products take the form of ebooks or guides, videos and tutorials, courses, audio files, and software. Video courses and software are the most popular digital products right now. Digital products also includes services such as a subscription or membership. This could be to join a mastermind group, use a Software As a Service product, get access to a person or organisation for coaching, or something like that. Digital products are often (but not always) sold through a marketplace such as Clickbank, Warrior Plus or JVZoo. These marketplaces match up buyers and sellers, and handle all the affiliate commissions. They might also handle customer support but not always (check with the particular marketplace). Which is better, physical or digital products? Physical products are good because there is a big demand and high perceived value. People like stuff and they buy random things all the time. It can sometimes be harder to convince someone to buy digital products because they value is less clear and the benefit more uncertain. But digital products are great because they are delivered immediately, don’t break or have defects, and have no costs with returns or refunds. I’m more interested in digital products than physical products. That’s what I focus on in this blog (though I might start looking into physical products if I get some time). The next big choice is whether you will go with vendor marketing (where you produce and promote your own products) or affiliate marketing (where you promote other people’s products). If you’re going with digital products, then you may want to consider being a vendor. Designing and manufacturing your own physical products is a complex and risky topic that I won’t go into here. Building your own digital products can be great. You get to choose what’s in the product, you get to write all the sales copy and material, and you choose your overall marketing and development strategy. If you sell one of your products directly, you keep 100% of the sale price (minus any fees for marketplace or payment systems). If an affiliate sells it, you’ll get to keep the sale price minus whatever proportion you agree for your affiliates. Keep in mind affiliates often earn between 50 and 75% of a sale of a product. Which might seem like a lot. Why bother building products if an affiliate gets to keep 75% of the proceeds? Well because hopefully you get lots of affiliates on board and they all make lots of sales. 25% of hundreds or thousands of sales can be a lot of money! There are disadvantages of vendor marketing though. You need to put a lot of work into researching, writing and developing your product. There is also a lot of work involved to organise all the affiliates and supporting material they will expect. You need to choose a marketplace, schedule a launch, and a hundred other things. You might need to do product support too, depending on the marketplace you go through. So it’s not necessarily an easy way to make money. A common way to make money online is through affiliate marketing. You don’t have to build products. You let someone else do all that hard work – you just promote them and earn a commission! Note that this can work for digital OR physical products. DId you know Amazon has an affiliate program, called Amazon Associates? If you provide a link to an Amazon product (with your unique affiliate ID) and someone buys it, you get a commission. Amazon Associate commissions are very small (usually about 4%), but people buy a lot of things on Amazon. It’s usually easier to convince someone to buy a juicer they were already thinking of buying, than to buy a digitalk course by a marketing guru they have never heard of. So you might make more overall even though the former pays you $10 and the latter pays you $100. I really like affiliate marketing for digital products though. I buy a lot of them (I have enough damn juicers in my house already! ), and I like using them and writing about them. And I can promote these digital products that I know and earn commissions. You can start too. Sign up as an affiliate at marketplaces such as Clickbank and Warrior Plus and you can start promoting and earning commissions. Most of the marketing I’ve been discussing is about selling things – Cost per Sale or CPS marketing. There is another type though called Cost per Action or CPA marketing. This is where you are not asking for someone to purchase a product, but just asking them to take an action. That action is often filling out a contact form, i.e. becoming a lead. Some people call this CPL (Cost per Lead) marketing. 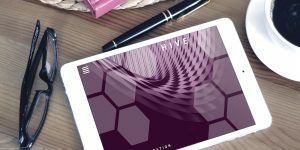 The action could be something else, like completing a survey or questionairre, watching a video, installing an app, or anything. But it is just an action, not a purchase. If you get someone to take an action, you will be paid a smaller commission. But it is also much easier to get someone to complete a form or install an app than it is to get them to buy something. So CPA marketers are more focused on numbers: it’s more of a quantity over quality thing. They are also much more likely to use advertising, i.e. paid traffic, rather than a mix of paid and free traffic (which CPS marketers usually do). I’m relatively new to this whole internet marketing world. But if you’re starting off, my advice is to go with affiliate marketing, and focus on digital products, and start with free traffic. It will be a bit slower to get moving and make money, but you can learn as you go and you won’t get burnt losing money on ads. CPA marketing is riskier and more complex. The simplest route is to use a free traffic approach called “content marketing”, where you produce content on free platforms, such as the web or Facebook or Youtube, and draw readers in and make htem affiliate offers. That’s the strategy I’m using! So how to actually get started? If you want to get started with affiliate marketing right now and start earning commissions, you need to pick a traffic source and do some training. I would recommend using either your Facebook profile, or a WordPress blog (which you can send traffic to from your Facebook profile). To learn how to do affiliate marketing and make easy money with free Facebook traffic, you should check out a great training program called Instant Buyer Traffic. If you want to do a WordPress blog, there is a great newbie-friendly course called Commission Wave that teaches this. Do you have any questions or tips about internet marketing? If so, leave them in the comments below! How do websites really work?